Warner Bros. and MGM have released the second official trailer for CreedII! Even with a killer first trailer, one of the most anticipated movies of the year has found itself in an odd situation, under the radar. Yes, it doesn’t release until the end of the year, but I heard no one, and I mean no one talking about this movie before this trailer.It was literally a ghost going into the trailer premiere this morning, and I don’t understand why. In a very rare case, it’s like it was almost forgotten and now that a new trailer has arrived, it seems as if people are finally waking up to remember how great this movie could be. Now onward to the trailer itself. It’s brilliant. It’s absolutely brilliant. The story looks to be progressing exactly how we expected it to, but it just looks so much better on screen. I’m already completely invested in what this movie has to offer. The dynamic between all the characters, and not just Adonis (Michael B. Jordan and Rocky (Sylvester Stallone). There’s some obvious elements in there, like Adonis going against Rocky and what he’s advising him with, which looks like it will eventually end up with him in a bad situation. We’ve seen that before in these movies, but this trailer offers it up in a completely different way. Hopefully the final version does the same. The bringing in of the Drago’s is such a power move. I can’t wait to see Dolph Lundgren back in the role opposite Stallone, but also the rivalry that will be created between Adonis and baby Drago. It will no doubt be a huge back-and-forth, and if Steven Caple Jr. is able to stick with the same approach Ryan Coogler had in the ring in the first movie, we’re in for a massive treat when they do meet up in the ring. And while the action looks amazing, I walked away from this trailer absolutely loving what they’re doing with the character of Adonis. It feels like a character study of him, something indie films do so well, not big budget studio flicks. If they are in fact taking that approach just a little bit, this sequel could be just as big as its predecessor. Check out the new trailer below, and make sure to leave your thoughts in the comments! How do you feel about the trailer? Are you aligned with me or on the opposite side? What do you expect from this sequel? Also starring Tessa Thompson, Wood Harris, Russell Hornsby, Florian “Big Nasty” Munteanu, Andre Ward and Phylicia Rashad, Caple Jr.’s Creed II hits theaters on November 21st. 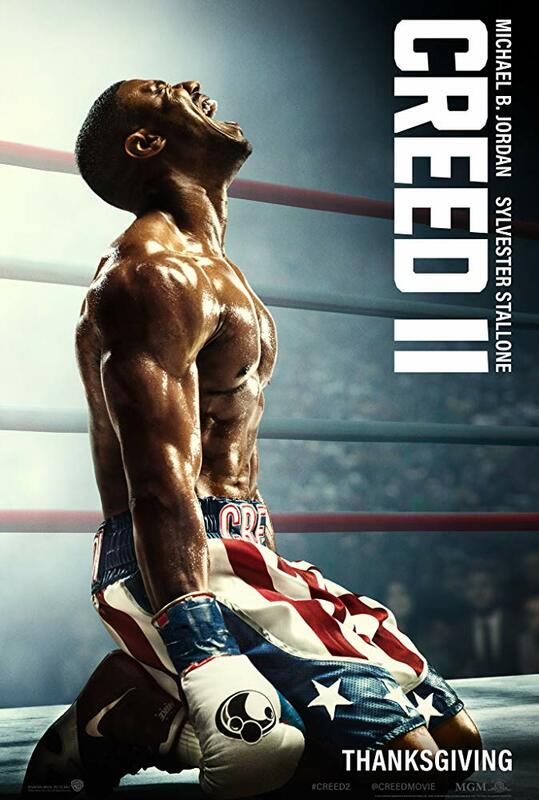 Tagged as: Creed II, Dolph Lundgren, Featured, MGM, Michael B. Jordan, Ryan Coogler, Steven Caple Jr., Sylvester Stallone, Tessa Thompson, Warner Bros.